Go for matching style with a romantic edge with this stunning stud earrings and pendant set. 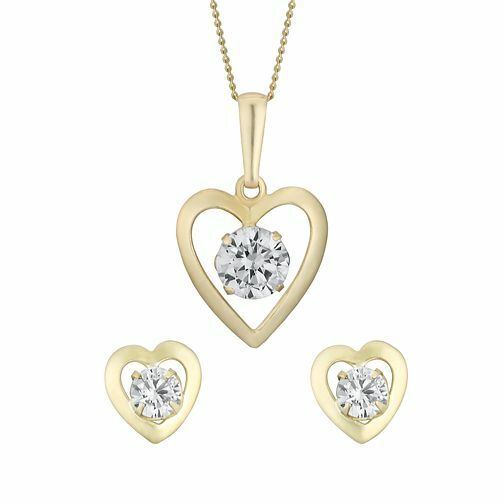 Crafted from luxurious 9ct yellow gold, this elegant set features a pretty cut away heart shaped design, with a shimmering cubic zirconia set at the centre of every piece for a splash of sophisticated sparkle. 9ct Yellow Gold & Cubic Zirconia Heart Earring & Pendant Set is rated 5.0 out of 5 by 1.